Susan Gubasta, who is the CEO of Mississauga Toyota, will take over from Larry Lantz of Hanover Honda in April 2018, as head of TADA. 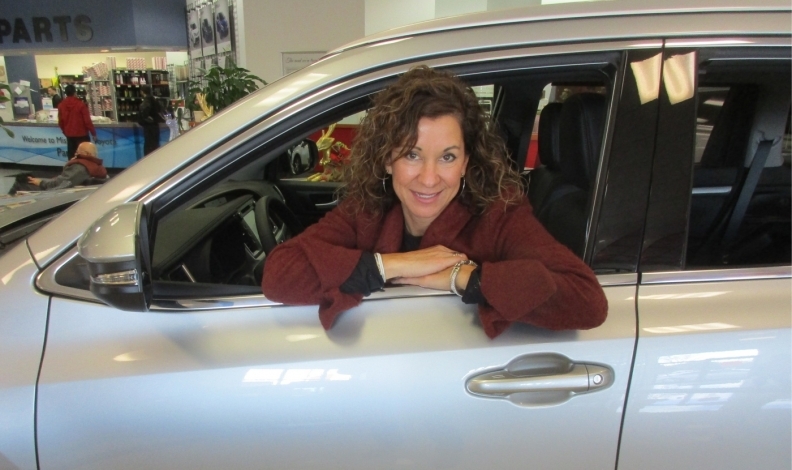 She has been a pioneer in the Canadian automotive industry for a while, but Susan Gubasta is about to take it to another level as the first woman president in the 110-year history of the Trillium Automobile Dealers Association. Gubasta, who is the CEO of Mississauga Toyota, will take over from Larry Lantz of Hanover Honda in April 2018, as head of TADA, which represents which represents about 1,100 new-vehicle dealerships in Ontario. Gubasta was the first woman on the TADA board of directors and the first woman to serve on the Ontario Toyota Dealers Advertising Association. “It’s an honour, a privilege and a huge responsibility, but there is a great team that will support this,” she said. “Yes, I am a female, but I don’t look at it from the standpoint that I’m the first [woman]. I’m another person that has the privilege of serving that role and that position. Her father, Joe, worked his way up the industry from a technician into sales and graduated into a new-car dealer, starting with Chrysler, then acquired Ford, Nissan, Acura and Toyota stores at about the same time. Susan, who is one of four siblings, pursued a career as a law clerk, but she wanted to work with people instead of “pushing papers” and followed in the family business, starting as a business manager. The TADA executive had asked Gubasta once before to go through the chain to become president, but she turned it down, feeling she wasn’t ready. Some of that was because she wanted balance in her life with her young son, Jacob, and running the dealership. She left the board for a year, then rejoined it to be in a future position to become president. While the automotive industry is male-dominated, Gubasta said the message has to come from the industry that there are also jobs for women. As for hiring women to work in the maintenance of cars, Gubasta said attitudes need to change. “It’s a tough job, it’s a physically gruelling job lifting tires on and off, maybe it’s not something women want to do,” she said. “I’m not saying we’re not strong and we can’t do it, but I think they tend to shy away from it because there still is that old term of a grease-monkey type of job.